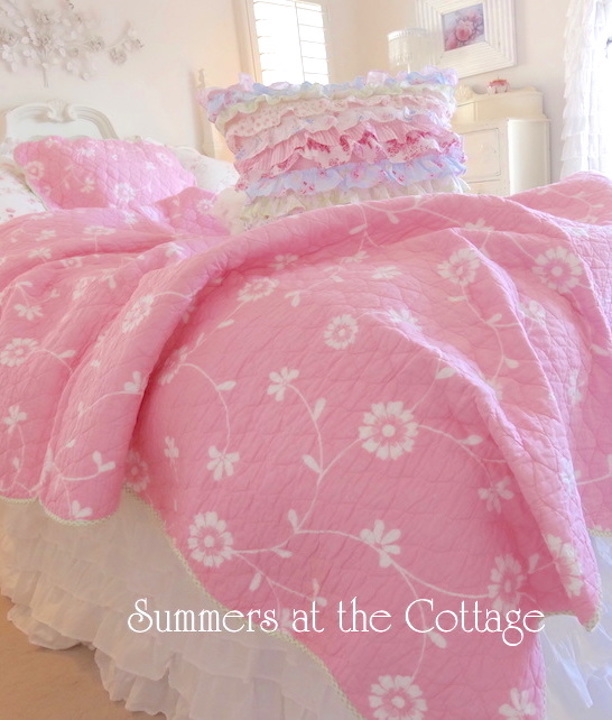 This is the prettiest pink with white daisy flowers available in Twin or Queen size. Queen Quilt measures 88 x 92 inches with 2 matching shams 20 x 26 inches. The Dreamy White Ruffled Bedskirt is the perfect accent and is available in our Bedskirts Section. 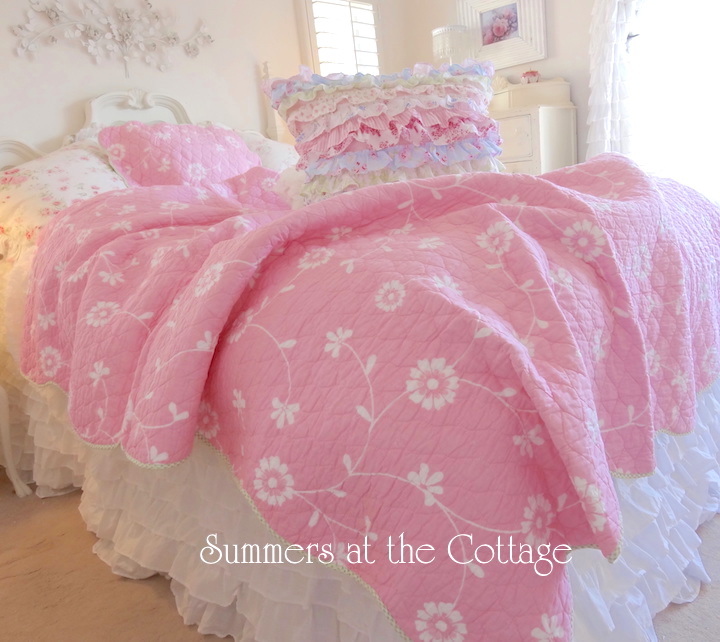 This gorgeous is just lovely with so much cottage charm, and so very feminine! Brand new in package and 100% cotton and machine wash and dry.